The Riding Dress MR is a blue dress for the lady suitable for a ride on horseback anytime. 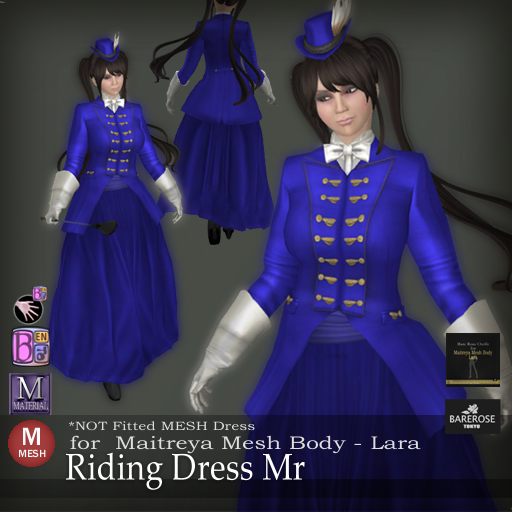 It is nicely designed for the Maitreya Mesh Body. 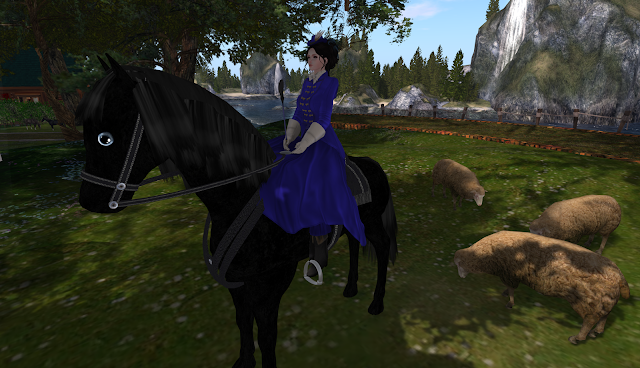 Since this is a riding dress, there is no better way to show it on horseback. 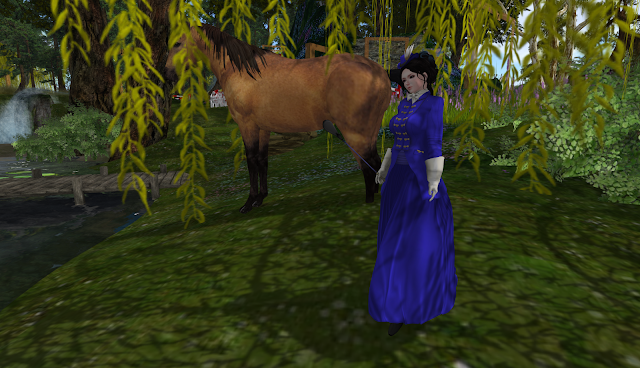 Kitty is having a wonderful afternoon riding along the ranch in this bright elegant dress for the lady. Even the sheep are gathered around probably attracted by this lady in blue. The dress itself is nicely fitted and only require you to hide some part depending on your shape, but it is very easy with the Maitreya HUD. The dress comes with everything you see here including the white gloves, black boots and whip. The gloves are also Bento compatible and so you can have a few different gesture if you like with your fingers.